A CashNet USA review will provide the information you need to decide whether this is the right company for you when you want a payday loan. It will also show you why CashNet USA is ranked amongst the top ten payday loan services in 2017. Borrowers who submit personal and financial information through the CashNet USA website are assured their information is secure. When you navigate the website, the secure socket layer protocol is clearly visible. It appears in the website’s URL address. You can submit your information with complete confidence. CashNet USA can share some of your information with both non-affiliated and affiliated parties. This can include your credit information, information about your CashNet USA account, and your income. While you have the right to request the company not share this information, much depends on what the law requires or allows. If you have any questions or concerns about your confidential information, you should discuss it with the company before you apply for a loan. It is easy to navigate the website and complete an application. If you begin on the home page, you will see a list of the states CashNet USA services. The page entitled “How it Works” provides all the information you need to apply for a loan. This information includes eligibility requirements, the company’s funding schedule, and a detailed Frequently Asked Questions section. The page also provides illustrated step-by-step information to guide you through the entire process. You will know what to expect and what to do from completing your application to repaying your loan. 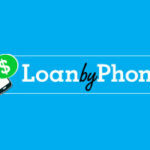 Similar to other payday loan services, lender’s fees and interest rates depend on a number of factors. The amount of money you wish to borrow, the length of time you hold the loan, and the state you live in, are all taken into consideration. The state where you live also determines the maximum amount you can borrow. While it is necessary to check the rates and fees that apply to your particular state, borrowers in California should expect to pay $17.65 for an eight-day payday loan. CashNet USA’s interest rate for California borrowers is 805.28%. While these rates may seem high, they are in the average range for payday loans. If you live in a different state, the fees and interest rates may be lower. The company offers a variety of customer service resources. Customer service representatives are available every day of the week. You can call the toll-free number, or send a FAX to the customer service department, twenty-four hours a day. If you prefer, you can also contact the customer service department by email, postal mail, or through the handy form on the website. An additional bonus for customers and prospective customers is the CashNet USA forum. If you post a question on a weekday, you can expect a response within twenty-four hours. The response will also be sent to your email address. You may have a slightly longer wait if you post questions during the weekend. Standard credit checks are not performed by CashNet USA. However, defaulting on previous payday loans may disqualify you for a loan. Your payday loan history, as well as the information you provide on your application, will be verified. Consumer reports and databases are used for this purpose. Although sending documents by FAX is not automatically required, there may be instances in which you are asked to FAX information. If CashNet USA needs further information from you, or it is required by your state’s laws, sending additional documents may be part of the application process. Responsible use of a payday loan includes repaying the loan when it is due. If you cannot do so, you can ask for an extension. However, as some states do not allow this option, you need to know the law in your state before applying for your loan. CashNet USA may agree to a payment arrangement if circumstances make it impossible to repay in full. If you simply default on your loan, legal action will be taken against you. If you become a Preferred Member, you will have special benefits. The benefits include savings on future loans, and a $20. credit each time you refer someone to CashNet USA. The people you refer will also receive a discount on their own payday loan fees. 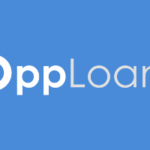 You will only receive your referral credit if the people you refer complete their payday loan process. CashNet USA is upfront and honest about every aspect of their services. The borrower who has any questions is welcome to contact the company. 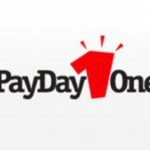 While this CashNet USA review shows the company’s terms and process is similar to many other payday loan services, not as many offer easy support and assistance. You can submit your application with confidence when all of your questions have been answered to your satisfaction.